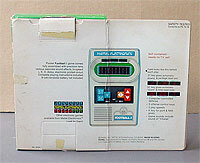 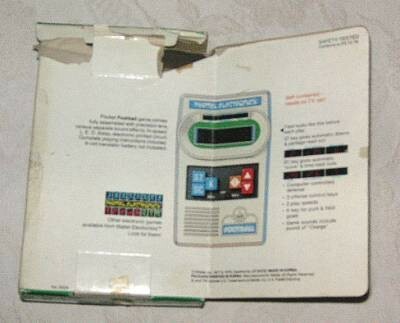 USER MANUAL IS ON LINE!!! 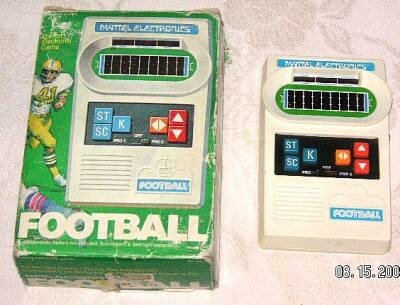 Football was released in 1977. 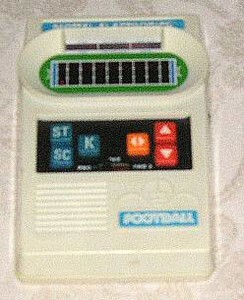 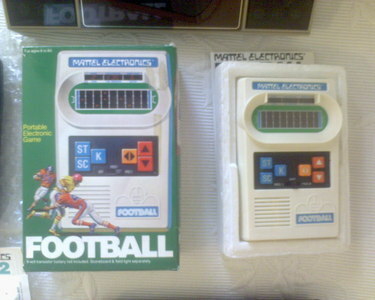 It was labelled either Football or Football I depending on the date the game was released. I guess Mattel continued to make (or at least ship remaining stock of) the original Football even after Football 2 came out, thus the change to the game&apos;s title. 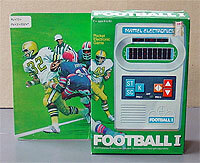 Both the game and the box reflect the addition of the roman numeral I (and the box for Football I is smaller than the original as the game is packed in a plastic bubble-wrap bag instead of the styrofoam blocks). 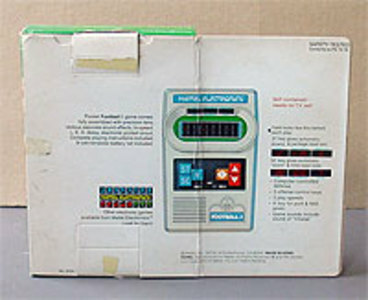 The font style used on the pre-I version is also different. 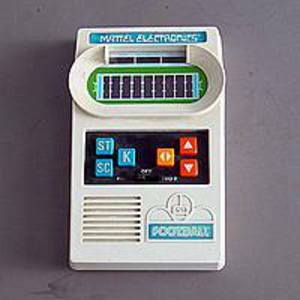 Also, early models of Football had an AC Adapter jack which was removed on later models (which would only run on batteries).